Users of the free Android app were hit the hardest, with usernames, passwords and even contact lists leaked. 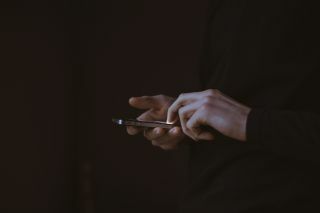 The personal data of over 31 million customers has been leaked online after the developers of popular virtual keyboard app, AI.type failed to secure the server that housed the database containing all of the user information their software had collected. The company's server was not protected by a password which allowed anyone to access the 577 gigabytes of sensitive data stored on it. IOS users were not affected as the database only contained records on the Android users of AI.type. Researchers at Kromtech Security Center discovered the leak and tried several times to contact the company's co-founder, Eitan Fitusi who owns the server. Eventually the data contained on the server was secured and AI.type acknowledged that a security breach had occurred over the past weekend. A large number of the records also included the phone number and telecom provider of users as well as some specific details of their public Google profile including their dates of birth, genders, profile photos and email addresses. The security breach of AI.type is yet another constant reminder of the dangers of using free apps over paid ones and users should always think twice before installing new apps on their mobile devices.